Every year, millions of dollars are offered by governments and private organisations around the world to help companies fund their projects. These grants are available for everything from scientific research to construction, and many are available to individuals as well as companies. Grant writing provides a number of benefits that range from economic to organisational for the companies that take the time to develop this aspect of their business. We are here to help you through the process…because it can be a big one. While the government generally doesn’t offer funding just to start a business, there are many grant opportunities available to help you. We can help identify goals you want to achieve with your business, such as research and development, trade, innovation or employment. Our work together will identify your business goals and activities that can point to the right grants. Knowing where to look for grants isn’t the hard part. Finding an opportunity that fits the capabilities, mission and values of your business is where you’ll find success. Now you’ve found a grant to apply for, it’s application time. Most grants give you guidance on the aspects you should include in your application, but it’s far from a fill-in-the blanks form. From there, we can likely provide some templates that will guide your application inclusions…or maybe just something to put your information into a format the grant panel likely fancies. There’s also terminology the grant organisation may prefer you to use…we can help with that too. Now that you’ve started putting things together, done some research and possibly even made changes to your business…let’s have a look at how you’re going. This is a chance to get a fresh set of eyes to look over your work. There’s a few things that we can certainly help avoid, like – spending too much time, and getting too involved in your response – changing your business too much to suit the grant – forgetting to make your application stand out. People sometimes get overloaded by the grant process, and then miss an opportunity to review and re-focus their efforts. Our goal is to make sure that doesn’t happen to you. We can do that best by getting to know your business and the grant you’re after. It’s never too early, or too late, for a discussion. Get in touch with us if you’re at any stage in the grant process…especially if you’re feeling stuck. The more time you spend stressed, the less time you spend progressing your application. Your business is unique, and here are some of the ways we can help. 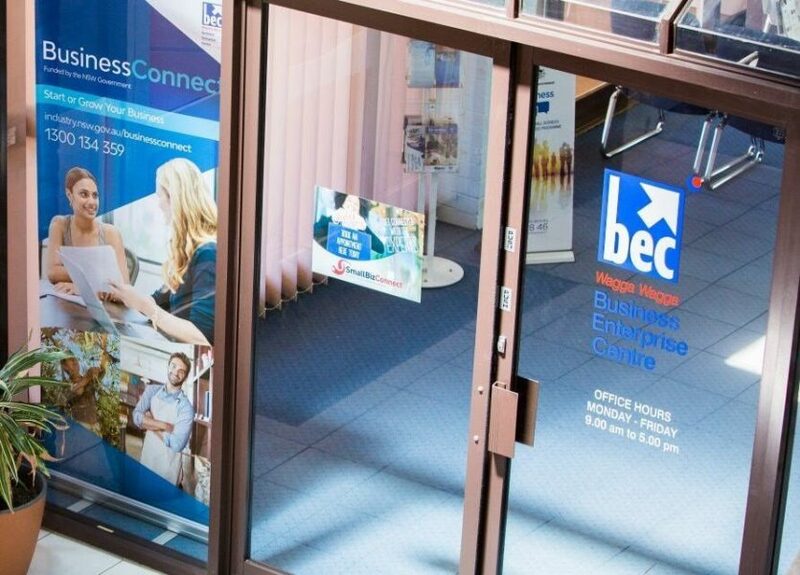 Learn about the BEC Specialists and how their experience can benefit you. Remember, we cover a large area – Gundagai to Broken Hill. These workshops represent a handful of the skills you can gain through BEC. Need help with social media? How about keeping track of finances? Have a look at our calendar to see what’s on and book a spot. Being active in your local business community offers lots of benefits. From start-up to exit, the experts in your area have done it all. Tap into the advice, referrals and alliances your network has to offer.